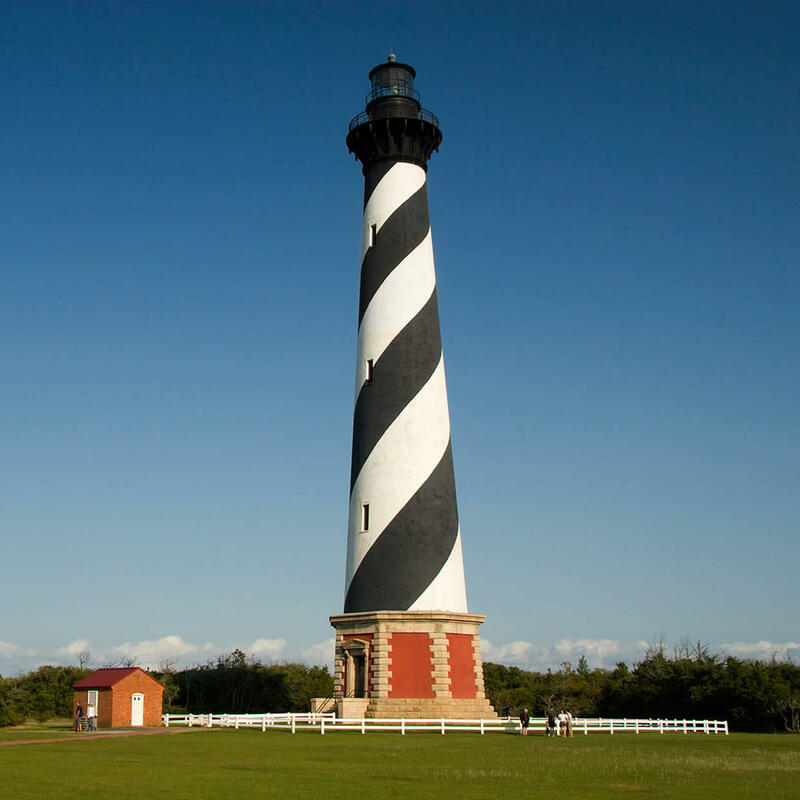 The current lighthouse was built in 1870 and moved a couple thousand feet inland. Due to shore erosion, it was just 15 feet from the ocean before the relocation. Pull on your climbing legs - you'll need to ascend 257 steps to reach the observation deck. The dates for the tours coincide on full-moon nights - the view of the shining orb from the tower is spectacular.